Recently, the IRCC made some changes to the Express Entry Program. Candidates who have at least one sibling living in Canada who is either a citizen or permanent resident, are given additional points for this. Additional points are also awarded to candidates who have strong French language skills. The IRCC has also made it optional for candidates to create a Job Match account with Job Bank. These changes have been put in place to make the express entry system easier to access for skilled immigrants. The system of selecting immigrants was put in place to target those people who had skills and abilities that could contribute immensely to Canada’s economy. Do You Qualify For Express Entry Canada? If you meet the requirements of any of the programs above, you can make an expression of interest in immigrating to Canada by creating your Express Entry profile. This will require you to provide information regarding your work experience, language ability, skills and education that will be reviewed by the government as well as potential employers. Filling up this information is a very critical process. 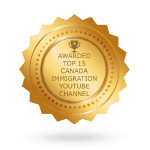 Should you enter any incorrect or misleading information, you risk facing a serious penalty or being banned from applying for any of the immigration programs for 5 years. That’s why it’s important to seek the help of a lawyer when filling out your Express Entry profile. 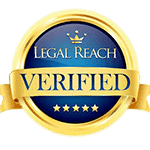 The immigration lawyer will help you to avoid errors that could be translated as misrepresentation. Your lawyer will help ensure that your dream of immigrating to Canada as a skilled worker comes to fruition. Are You Eligible For The Provincial Nominee Program? The provincial nominee program was established to allow provinces and territories in Canada to nominate their own candidates from the Express Entry pool and give them a chance to apply for any of the economic immigration programs under Express Entry. Candidates in the pool can create a Job Match account to start their job search and continue using the account when they get to Canada. However, it is no longer a requirement to create a Job Match account after entering the pool. When you complete your Express Entry profile, you will be placed in a pool if you’re eligible to immigrate under the mentioned federal immigration programs. Once in the pool, you will be ranked together with others based on several factors such as your language proficiency. If you happen to be a top candidate in your pool, you will soon receive an Invitation to Apply for a specific program that you qualified for. Once you receive the ITA, you need to submit your application for permanent residency within a specific period of time. 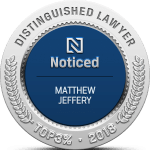 An immigration lawyer can help you streamline the process of applying for permanent residence under any of the economic immigration programs you qualify for.